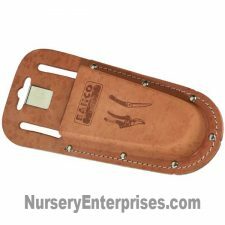 Calico Brand budget line of tools. 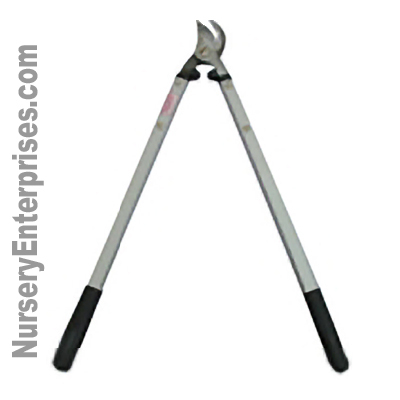 No frills economy 31 inch aluminum handle bypass pruners loppers. Inexpensive and economical for budget-minded folks. QUANTITY OF 6. 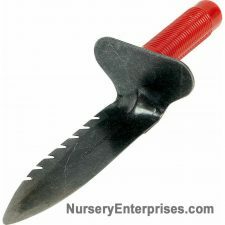 For quick weekend pruning work, Calico provides an economical alternative. 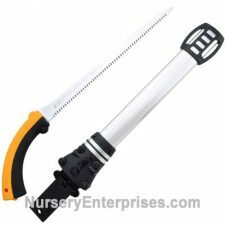 An ideal tool for effective pruning and cutting living, green branches, not dead wood, as it operates like scissors. (For dead wood, our anvil loppers are a better choice.) Forged, high carbon steel cutting blades are heat-treated to offer a durable hard edge and lasting strength and durability. The durable aluminum handles include integrated shock-absorbing stop bumpers that help reduce arm and shoulder fatigue and the jarring conclusion at the end of cuts. Steel blades offer a 4.5 in. blade length. 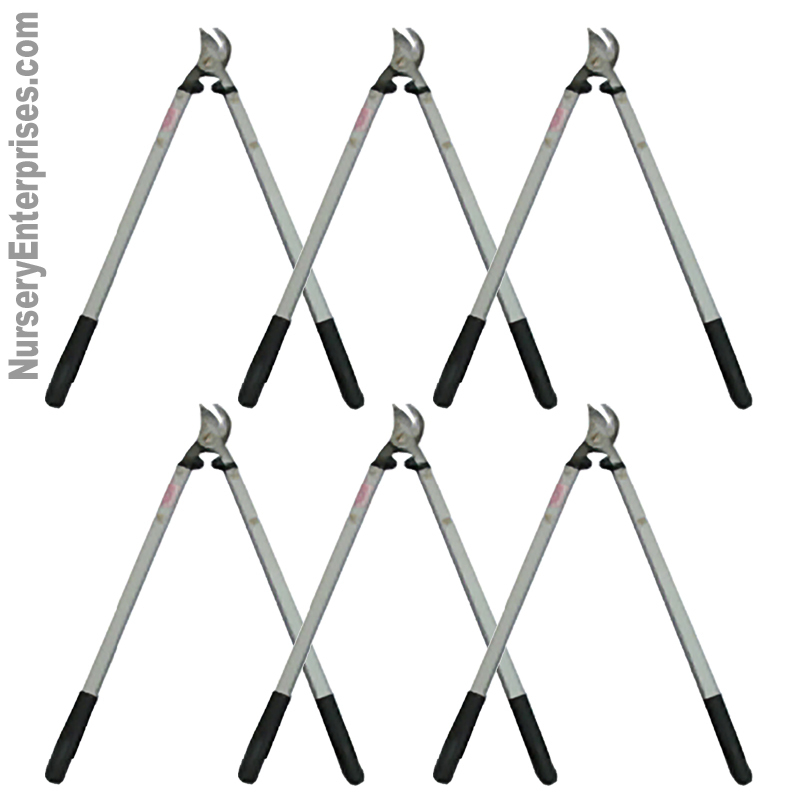 The solid, soft and comfortable non-slip ergonomic grips, enhancing comfort and control, will keep your hands secure as you work, and are ideal for extended use. For comfort and safety, the loppers shears are designed with lightweight, aluminum handles which make for easier work and helps you beat fatigue. Since the blades are solid forged steel, as part of a conscientious maintenance program, we recommend a periodic wipe-down or soaking in oil to prevent rust and lubricate the moving surfaces. The Item # is located just above.